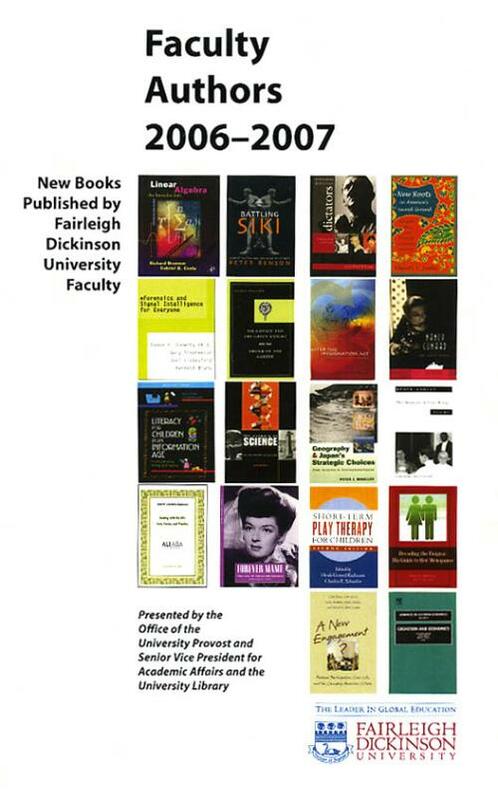 On Thursday, April 19, 2007, Kenneth Bruno, Eamon Doherty, and others were honored at Fairleigh Dickinson University's Faculty Author Celebration. 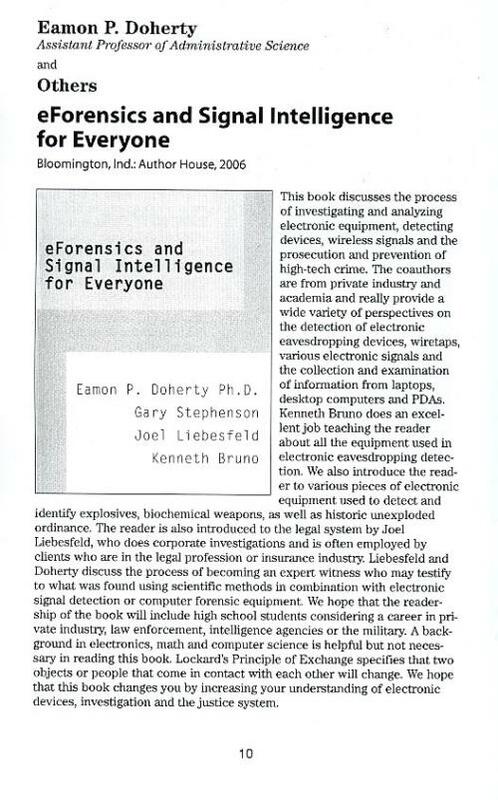 This book discusses the process of investigating and analyzing electronic equipment, detecting devices, wireless signals and the prosecution and prevention of high-tech crime. The coauthors are from private industry and academia and really provide a wide variety of perspectives on the detection of electronic eavesdropping devices, wiretaps, various electronic signals and the collection and examination of information from laptops, desktop computers and PDAs. Kenneth Bruno does an excellent job teaching the reader all about the equipment used in electronic eavesdropping detection. We also introduce the reader to various pieces of electronic equipment used to detect and identify explosives, biochemical weapons, as well as historic unexploded ordinance. The reader is also introduced to the legal system by Joel Liebesfeld, who does corporate investigations and is often employed by clients who are in the legal profession or insurance industry. Liebesfeld and Doherty discuss the process of becoming an expert witness who may testify to what was found using scientific methods in combination with electronic signal detection or computer forensic equipment. We hope that the readership of the book will will include high school students considering a career in private industry, law enforcement, intelligence agencies or the military. A background in electronics, math and computer science is helpful but not necessary in reading this book. Lockard's Principle of Exchange specifies that two objects or people that come in contact with each other will change. We hope that this book changes you by increasing your understanding of electronic devices, investigation and the justice system.